KIMT3 TV of Rochester and Channel 6 (abc) of Rochester air prevailing wage stories. Click here to see the story from KIMT3 TV. Click here to see the story from Channel 6 TV. On June 6, Michigan became the 6th state in the last three years to repeal its Prevailing Wage law. The repeal was originated and pushed by the Associated Builders and Contractors, Inc. (ABC). It began as a citizen-driven petition that required 250,000 signatures to send the repeal bill to the state legislature. The citizen petition process bypasses the governor, and can be decided either by the Legislature or the Legislature can choose to send the proposal to voters directly. In this case, the Legislature chose to pass the repeal itself. Several people tried to save the law, including every Democratic legislator and several Republican lawmakers. But they didn’t have enough votes. Prevailing Wage prevents erosion of construction industry standards by requiring contractors on public construction projects to pay standard wages and benefits for the geographic area. These laws originated in the 1890s to foster development of state construction industries and enjoyed bipartisan support for decades, with 41 states and the federal government implementing Prevailing Wage by the 1970s. Proponents of repeal claim it will save the state hundreds of millions of dollars every year. The savings are expected to come directly from the wages of the construction workers who currently earn Michigan’s prevailing wages. These wage victims are the non-union construction workers who usually work for… you guessed it, Contractors in the ABC. Opponents of repeal say that it will erode safety and training standards and hurt the construction industry’s ability to attract and retain skilled workers. When deciding matters of public policy, information matters. However, the evidence presented by opposing sides on an issue like Prevailing Wage is often treated as equally valid by the media, even if there are significant methodological and analytical differences. 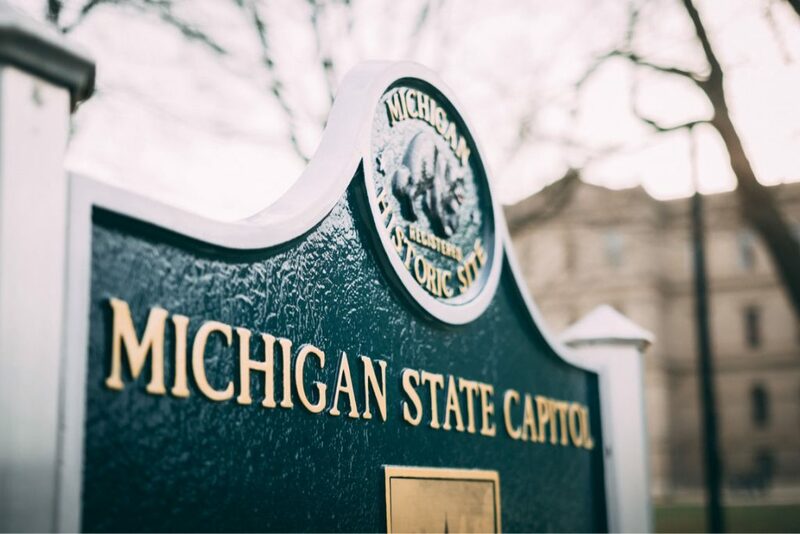 In this case, the information cited by Protecting Michigan Taxpayers—the ballot committee that gathered signatures for repeal—was a 2013 study by the Anderson Economic Group, which found that Michigan overspent on education construction by $224 million per year from 2002-11. However, a report by Peter Philips, Professor of Economics at the University of Utah, found serious flaws with the Anderson Group study, including miscalculating the proportion of project costs taken up by blue-collar labor, and failing to account for decreases in worker productivity associated with falling wages and benefits. Prof. Phillips then applied the Anderson Group’s own methodology to more correct information and found that Prevailing Wage repeal would not have any cost savings. Recent evidence from Prevailing Wage repeals in West Virginia (2015) and Indiana (2015) find no cost savings associated with repeal. In fact, the only real consequences of repeal have been significant declines in construction worker wages and benefits, increasing numbers of out-of-state contractors doing taxpayer-funded construction, and decreasing the quality of construction. At its core, Prevailing Wage is a matter of public policy. It affects the health and vitality of a critical sector of the economy and prevents destabilization of the construction market by big infusions of government spending. While there are conflicting narratives about the impact of Prevailing Wage, the preponderance of peer-reviewed and methodologically rigorous research lead to an inescapable conclusion: Prevailing Wage is good for taxpayers. It does not affect overall project costs, and in fact has many positive consequences, including increased worker training and productivity, decreased reliance on public assistance programs among construction workers, and economic stimulus resulting from public construction wages staying within communities. When spending taxpayer dollars on construction, we should demand that they maximize the benefits to communities, and Prevailing Wage ensures that happens. Click here to see the article on Como Park students participating in the Minnesota Trades Academy summer internship program. 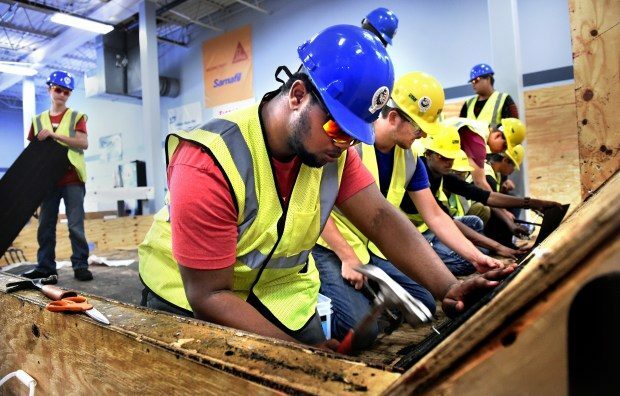 Minnesota is implementing the North America Building Trades Union (NABTU) Multi-Craft Core Curriculum (MC3) in several schools throughout the state to introduce pre-apprentices and secondary students to the various building trades. Click here to view a video explaining MC3. This was the basis for the Multi-Craft Core Curriculum, which is increasingly being used as the foundation for pre-apprenticeship programs across America. The Multi-Craft Core Curriculum provides a gateway to a career in any of the Building Trades; from high school to joint registered apprenticeship to community and four-year college and beyond. Congratulations to the participating schools and the Minnesota Building Trades Councils for bringing trade careers back into our schools. Click here to view a video explaining MC3. The Union Advocate Newsletter for April 2018 highlights the Mark H. Ayers Community Achievement Award given to the St. Paul, Minneapolis, and Minnesota Building Trades Councils. Read the article and be sure to watch the included video. Click here to view the article and the video. The video is at the end of the article. The government recently promoted “Apprenticeship Week” around the U.S., and it was often repeated that the Building Trades set the high standard to which the government wants all programs to aspire. But it’s not enough to simply have an apprenticeship program – quality matters immensely, and this is particularly true in construction. And joint apprenticeship programs are clearly the most effective. A recent study in Michigan compared data from 2000-2016 for joint apprenticeship programs (i.e., those run by construction trade unions in collaboration with their contractors) with those run by the Associated Building & Contractors (ABC), as well as single-employer programs. It found that joint programs far outpaced the other two programs in terms of number of apprentices trained, dropout and graduation rates, and earning potential of program graduates. Joint programs trained 79% of all Michigan construction apprentices between 2000-16. These programs had a graduation rate of 31%, and a dropout rate of 45%. While this seems large, the ABC programs correspondingly had a graduation rate of just 14% with a dropout rate of around 66%, while single-employer programs graduated only 17% of apprentices, and had a dropout rate of 57%. Joint program also enrolled higher numbers of women and minority apprentices. For the ABC programs, 9% of new apprentices were ethnic/racial minorities; joint programs were 21% minority. Women accounted for 4% of joint program apprentices, whereas women made up only 1% of enrollment in ABC programs. Furthermore, apprentices who graduated from a joint program had much higher earning potential than graduates of ABC programs, earning fully double the amount that the latter group earned. This ultimately affects the quality and vibrancy of local construction markets because other research has demonstrated that workers earning higher wages are more productive and efficient than their lower-paid counterparts. High wages also encourage contractors to make more use of capital equipment, increasing productivity. All of this supports the argument that the simple existence of an apprenticeship program is not sufficient to guarantee success. Quality matters, not only in terms of results for apprentices enrolled in the program, but for project owners and taxpayers who ultimately hire those apprentices and expect them to do the job right the first time. FCF first ran into Jamek Engineering in 2012. When FCF first investigated Jamek we discovered workers who had been paid less than 25% of the prevailing wage requirements on public projects and some workers who were denied payment altogether. In late 2015, thanks to the efforts of IUPAT District 82, FCF came across Jamek again, this time on a project in St. Paul, which had received federal and other public funding. Through the investigation FCF and District 82 discovered that Jamek had again apparently employed workers who had been paid less than 25% of the prevailing wage, kept some workers completely off the books, failed to pay some workers at all, submitted fraudulent documents, and had hired a 15 year old to perform construction work. FCF and IUPAT District 82 submitted a complaint on this project to the City of St. Paul and the United States Department of Labor. The US DOL looked into this project in-depth, and also investigated other federally funded work that Jamek was performing. In June of 2017, the US Department of Labor submitted an Order of Reference to the Office of Administrative Law Judges regarding Jamek Engineering. This submittal is part of the Department’s efforts to debar Jamek Engineering from federal work. Along with the Order of Reference the Department submitted the summary of its findings, which allege that Jamek underpaid its employees by over $40,000 on two projects subject to Davis-Bacon prevailing wage requirements. Federal debarment may occur where the violations of the contractor’s obligations under the Davis-Bacon Act are aggravated or willful. Debarment is a serious step for the Department to take, and this is the first investigation that FCF has worked on that has resulted in an effort to debar a contractor at the federal level. Federal debarment would render Jamek ineligible for any federal or federally funded work. Further, under the Responsible Contractor Law, should Jamek Engineering be debarred by the federal government, it would be ineligible for any public work in the state of Minnesota. This is particularly relevant as Jamek appears to have once again started bidding on public work in Minnesota. As most people reading this likely know, construction is booming across the State of Minnesota. For the past few years construction in the state has been at very high levels, and it does not look like 2018 will be any different. On November 7, 2017 voters approved approximately $1.3 billion in Bonding for Minnesota Schools. In earlier Bonding referenda during 2017 Minnesota voters had separately approved over $240 million in bonding throughout the state. This money will be used for building, technology, and capital improvements for Minnesota Schools throughout the state. A little over $1 billion of the bonding referenda approved on November 7 was in the metro area, with Anoka-Hennepin voters alone voting yes on $249 million Bonding Referendum, the largest in the state in two decades. This year’s bonding referenda success follows approval of over $450 million in bonding for construction and capital improvements in 2016 and almost $1.9 billion in approved bonding for construction and capital improvements throughout the state in 2015. 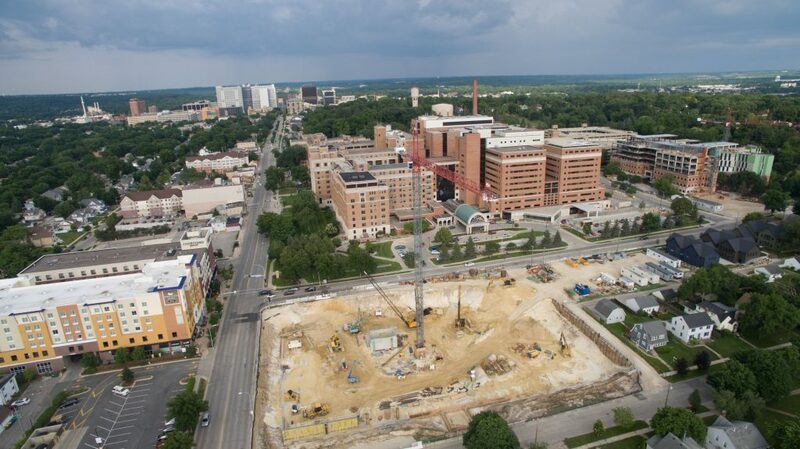 Much of the construction approved in 2015 and 2016 is ongoing with substantial work remaining. Between the large amounts of school construction that is underway, or will be getting underway in 2018, and the high levels of other construction throughout the state, the industry looks to remain quite busy in Minnesota for 2018 and beyond. Minnesota’s Responsible Contractor Law has now been effective for three years. The law applies to publicly owned construction projects in Minnesota valued at $50,000 or more. The law aims to keep contractors with serious violations of certain labor standards laws off of public projects. Since the law went into effect, almost three hundred contractors have been excluded from public work under its provisions. Of particular interest is the law’s impact on independent contractor misclassification. Misclassifying employees as independent contractors is a pervasive and increasing problem in numerous industries. By misclassifying employees as independent contractors employers are able to achieve significant cost savings by avoiding certain tax liabilities related to their employees, and to avoid other costs of employees, such as providing employee benefits, unemployment insurance, workers compensation coverage, and more. These savings provide a significant cost advantage for unscrupulous employers as they manage to avoid many of the costs of doing business that law-abiding contractors legitimately incur. This practice also undermines state programs such as unemployment and workers compensation insurance as payments are not being made into these systems for misclassified employees. The practice also has a negative impact on state revenues because in many cases income taxes are not being remitted for misclassified employees at all. The scope of independent contractor misclassification is large, and likely increasing. The problem is particularly pervasive in the construction industry due to the cost advantages discussed above resulting in bidding advantages for contractors who engage in this behavior. Fortunately, Minnesota’s Responsible Contractor Law provides one mechanism to combat this behavior in public construction. In the construction industry Minnesota has a specific and strict statutory test to determine if an individual is a legitimate independent contractor. Violations of this statutory test can result in a contractor receiving an administrative or licensing order that generally carries a monetary penalty. Importantly, however, receiving one of these administrative or licensing orders that has become final renders a contractor ineligible under the Responsible Contractor Law for a period of three years. This is an important tool in keeping contractors who engage in this behavior off of public projects where low bid requirements might make the unlawful cost cutting they achieve by misclassifying employees an even more substantial advantage. For more information on the Responsible Contractor Law, and a list of contractors who are ineligible for public work under the law, visit www.ResponsibleMN.org. Earlier this year Wisconsin completed its repeal of its prevailing wage laws. Wisconsin began its prevailing wage assault by previously repealing prevailing wage requirements for local governments. Data collected by the Wisconsin Coalition of Contractors showed that from January through April of 2017 out-of-state contractors received $32 million in contracts for municipal projects in Wisconsin. This represented a 53% increase over the same time period for 2016, when municipal projects were subject to prevailing wage requirements. This jump in work being awarded to out of state contractors obviously harms Wisconsin construction businesses, but is also likely to have a negative impact on other Wisconsin businesses as money is taken home by these contractors instead of being spent and invested in Wisconsin. Likewise, Wisconsin’s tax revenues dwindle as less money is spent in the state. Of course Wisconsin construction workers also stand to lose with the repeal of Prevailing Wage requirements. In repealing its prevailing wage laws Governor Walker and the Wisconsin Legislature are sending a message: that they believe construction workers in Wisconsin are overpaid, and should work for less. At the same time that Wisconsin is trying to cut Wisconsin construction worker wages one of its Senators, Ron Johnson, is proposing an overhaul of the visa system in the United States. Senator Johnson’s proposal would shift visa decisions from the federal government to the states, and would also result in a significant increase in the amount of visas issued. In discussion of this proposal, construction is often mentioned as an industry where there is a shortage of labor, both in Wisconsin and nationally. If there truly is a shortage of construction labor in Wisconsin, it seems odd that Governor Walker and the state legislature are seeking to cut their wages. In fact, if there is a shortage of construction workers in Wisconsin, necessitating an increase in the amount of visas for Wisconsin construction workers, construction wages should be increased, not decreased by the state legislature. As construction wages are decreased in Wisconsin, any shortage of construction workers in Wisconsin will very likely worsen; an industry requiring demanding physical labor from its workers, which already needs more workers than it has, is unlikely to attract more workers with lower wages. Going forward it looks like Wisconsin will be making up for any shortages of construction labor with construction workers from out of state and maybe even out of the country.